According to an EWTN press release, in an order by the U.S. Court of Appeals for the 11th Circuit published Thursday, Nov. 29, 2018, the court vacated a June 2014 decision against the Network by U.S. District Court Judge Callie Granade. The ruling by the appellate court follows an Oct. 5, 2018 settlement agreement between EWTN and the Department of Justice. Under terms of that settlement, the Network will not be required to provide contraception, sterilization and abortifacients in its employee health plan, something EWTN found morally objectionable. EWTN’s battle for justice began in February 2012 when it filed a lawsuit against the Department of Health and Human Services, its Secretary Kathleen Sebelius and other related government agencies. That lawsuit sought an injunction against the imposition of the mandate as well as a declaratory judgement that it was unconstitutional. A month later, the Attorney General of the State of Alabama filed a motion to join EWTN as a plaintiff in that suit. EWTN’s first lawsuit was dismissed March 25, 2013 by Judge Sharon Lovelace Blackburn of the U.S. District Court in Birmingham, Alabama after the Obama administration promised it would amend the regulations. However, seven months later, after the promised revisions failed to address the Network’s objections, EWTN filed a new lawsuit. In June 2014, U.S. District Court Judge Callie Granade of Mobile, Alabama ruled against the Network but EWTN was immediately granted an injunction preventing the mandate from being imposed while it appealed the decision. The Network appealed the decision to the U.S. Court of Appeals for the 11th Circuit which ultimately ruled against them. However, this decision was suspended while the U.S. Supreme court considered Zubik v. Burwell, which consolidated similar cases brought by Priests for Life and the Little Sisters of the Poor. When the Supreme Court remanded these cases back to the lower courts with the request that they negotiate a settlement with religious employers, the 11th Circuit vacated its negative order against EWTN and requested that the court be briefed as the parties worked toward a settlement. 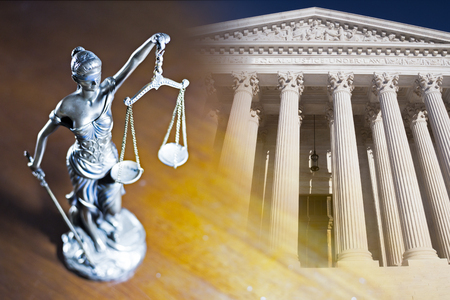 Attorneys for EWTN and the Department of Justice negotiated terms and the government agreed that it would not enforce the HHS Mandate against EWTN. The government agreed that EWTN could ask the 11th Circuit Court of Appeals to vacate the lower court’s decision. That settlement paved the way for the appellate court’s Nov. 29th order.